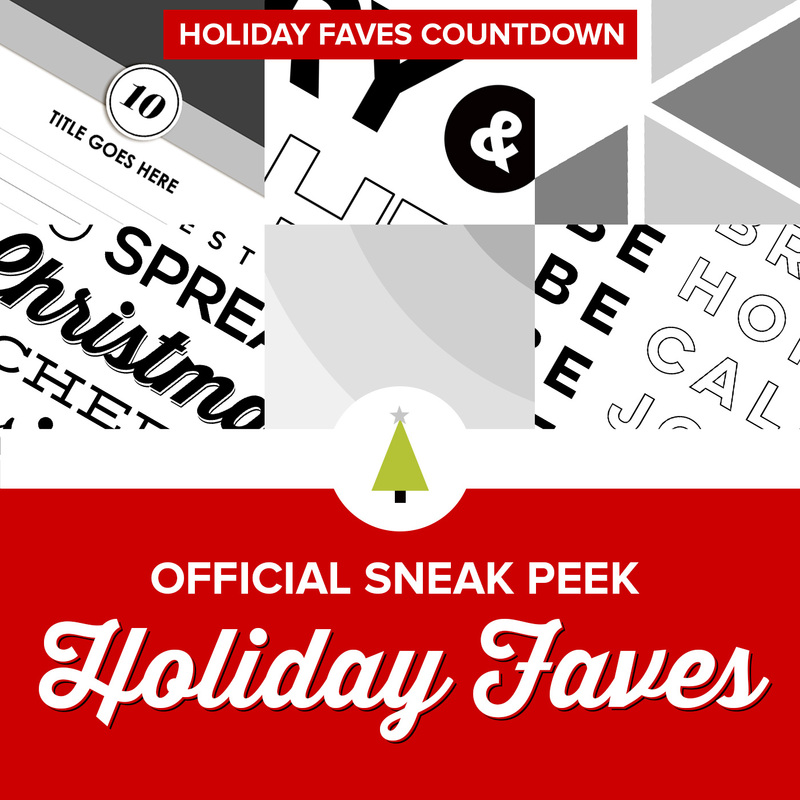 Holiday Faves 2014 launches Monday which means we are in the home stretch of the countdown! Are you getting excited yet? I sure am! 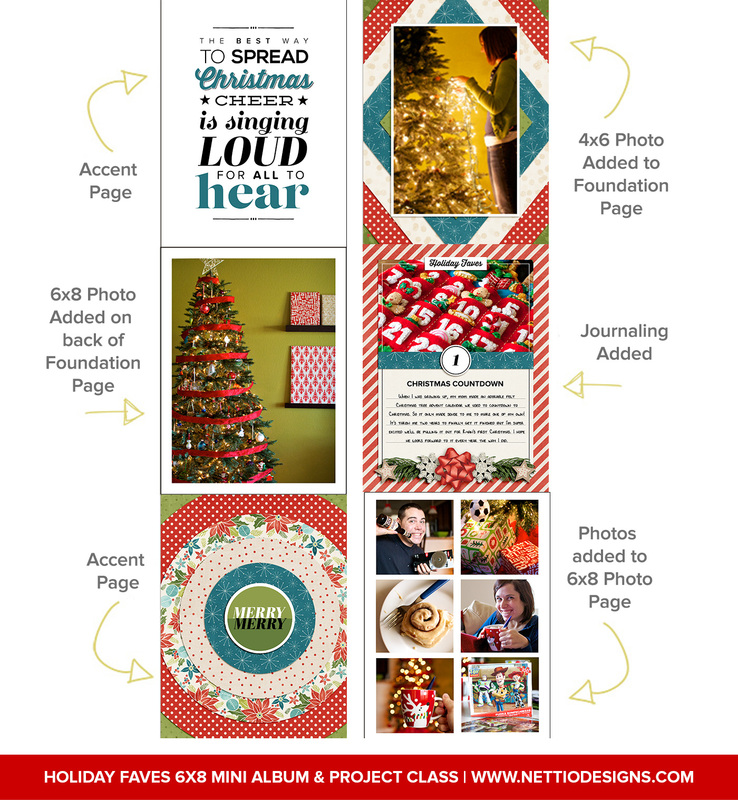 Holiday Faves is one of my favorite (pun-intended) scrapbooking projects of the year and I would love for you to join me on this Christmas crafting adventure. Since Monday is only a few days away (and weekends don’t count in my book! 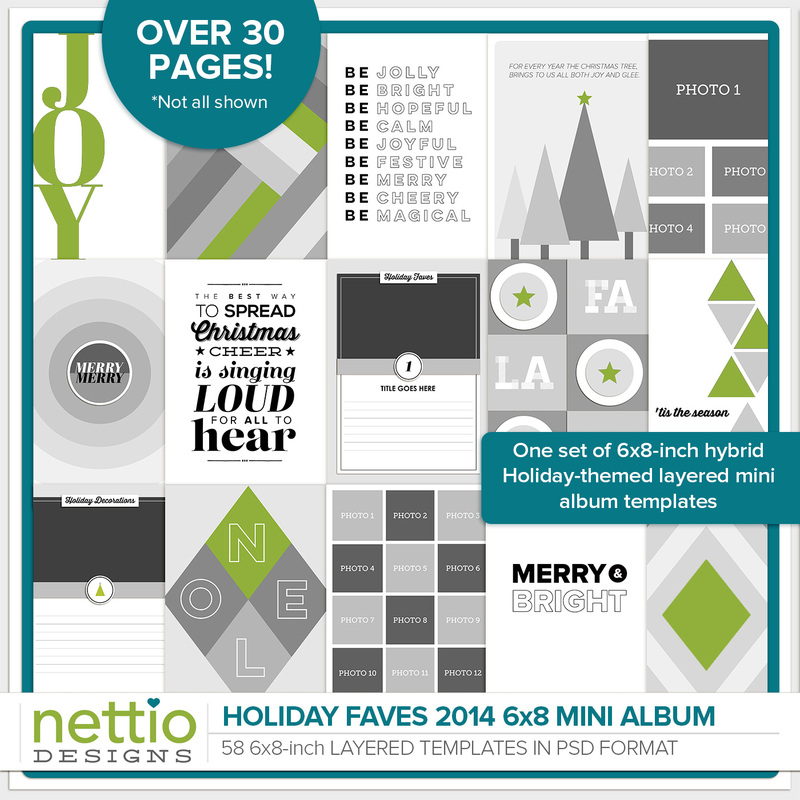 ), I’ve put together a sneak peek for you of six of the page templates from this year’s Holiday Faves album. Like last year, the templates will all be 6×8 inches which is not only a perfect size for adding to a small binder or mini album, but 6×8 also happens to scale down perfectly to 3×4 inches which makes it easy to use for pocket scrapbooking as well. All right, your sneak peek awaits! 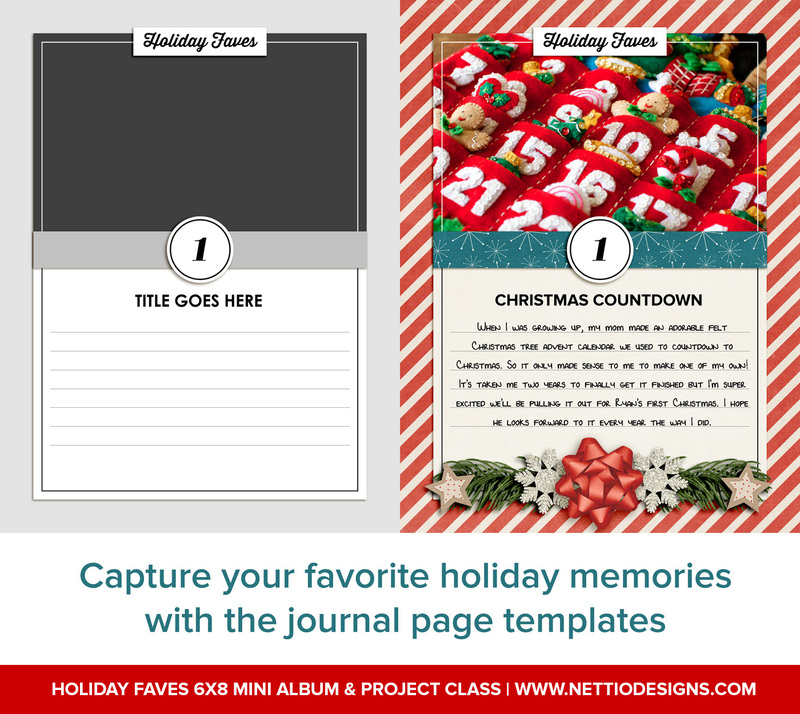 Like all three previous Holiday Faves mini albums, this year’s set of mini album templates includes journaling pages, foundation & accent pages and photo pages all of which can be mixed and matched to create your own custom holiday mini album. And since it’s FRIDAY and I’m feeling extra generous, here’s a full peek of one of the Holiday Faves journaling cards as well as an example of how you can pretty it up using digital scrapbooking supplies. 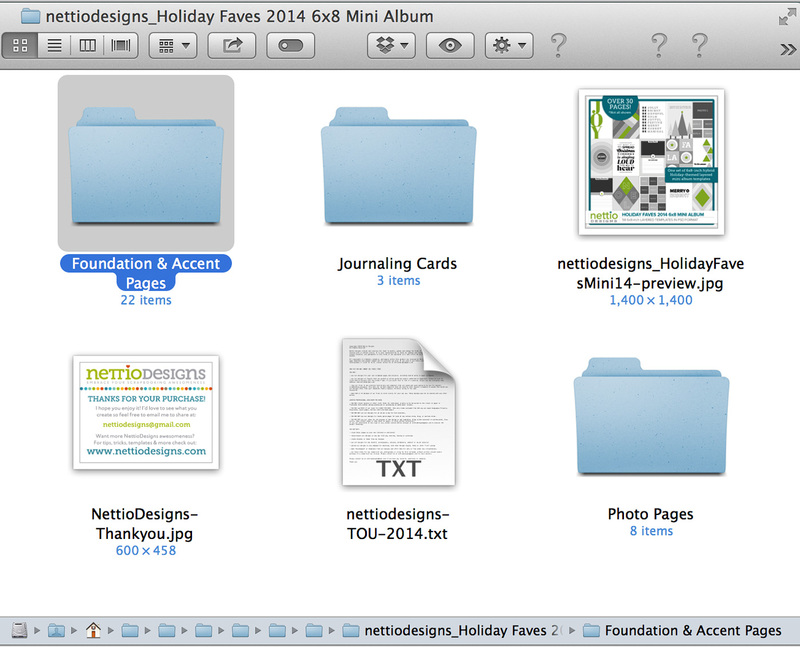 Holiday Faves 2014 launches MONDAY, November 24th here at Nettio Designs so I will be back then with all the details. P.S. If you haven’t yet, be sure to read the story behind the Holiday Faves. It’s a good one. 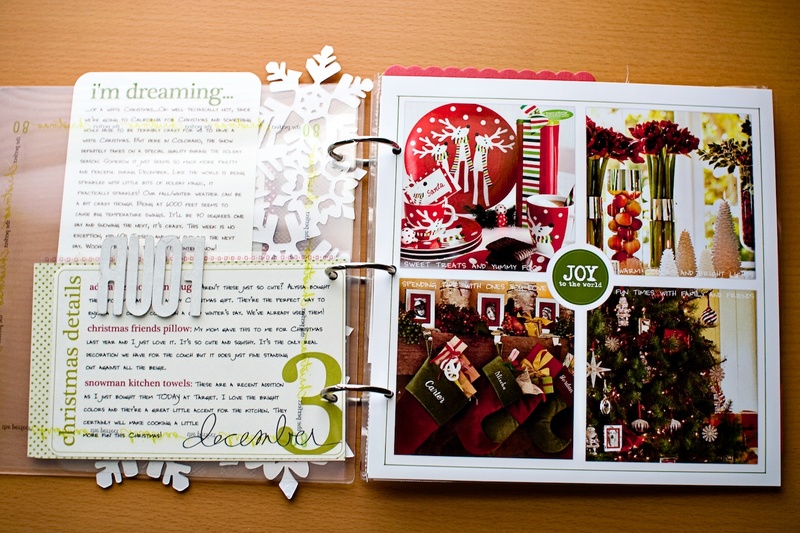 I’d been digital scrapbooking for just under a year and had just discovered Shimelle’s Journal your Christmas project. Everyday between December 1st and January 6th she would send you an email with a pretty PDF filled with ideas and inspiration for capturing one story of Christmas each day. I remember distinctly sitting in the airport in Seoul, South Korea waiting for my flight back home after a year abroad and reading through all the prompts on my dying laptop. I was hooked. I couldn’t wait to get home and start my album. Would you like to guess how many pages I completed that year? Fast forward to 2007. I knew this would be the year I’d complete Journal Your Christmas. 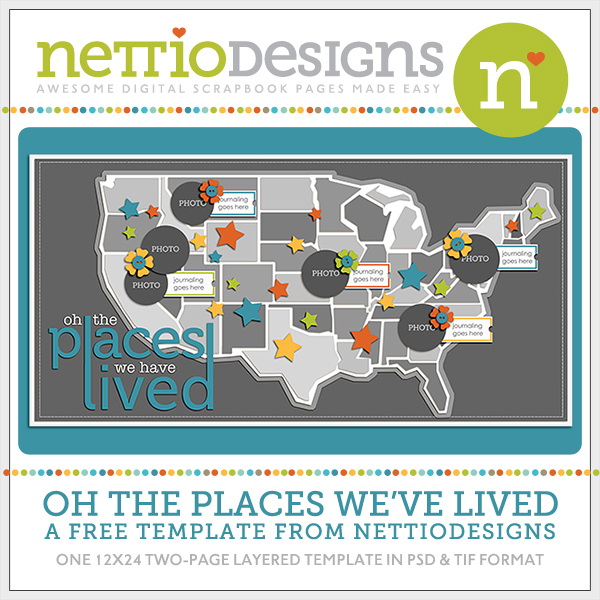 I’d create my album digitally using the same simple template for each page. One story a day, simple, easy. How could I fail right? Number of pages completed and printed? In 2008, I discovered Ali Edward’s December Daily. Oh the gloriousness that is Ali’s December Daily! I loved the mini album format. I loved the way she mixed pages. I love that she captured a mix of Christmas and everyday life. One story a day – how hard could it be? At that point, I had never done paper scrapbooking before but I figured, hey why not give it shot? I decided to follow Ali’s advice to complete the foundation of the album ahead of time so I headed to our local Archivers, spent way to much money and got to work creating my foundation pages. That year went much better. Starting the foundation ahead of time was key and I made it all the way to December 17th. Success! But then we traveled home for the holidays and by the time we returned in January, I’d lost steam. Wah-wah. In 2009, Adam was deployed to Afghanistan and well, Christmas just didn’t have that sparkly glow it usually did so I decided to skip it. But in 2010, I decided to try again. This time I went into it fully prepared. I’d made it pretty far before so I knew what I had to do to get it done. And most of all, this year for the first time ever, we wouldn’t be traveling for Christmas. I knew of any year this would be the year: the year I would finish my December Daily album. I made it to December 16th. By this point I was starting to get discouraged. Was there something wrong with me? 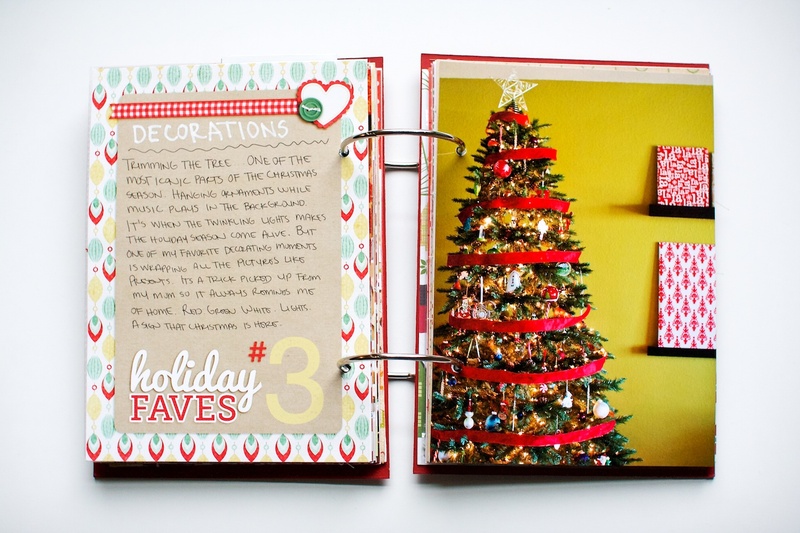 I loved the idea of these holiday albums and I LOVED the pages I created for them. But as much as I loved these albums, there was clearly something about the process that wasn’t working for me. And I was tired of wasting hard-earned money and time on them, only to be left with an unfinished album and a healthy dose of scrapbooker’s guilt to kick off the new year. So not my idea of a good time. COLLECTING MEMORABILIA – I LOVED picking up bits & pieces of life throughout the season knowing I already had a home for them. MINI ALBUM – I loved the small mini album size and I especially loved being able to flip through the pages everyday. PHOTOS – I loved printing photos at home to include in my album right away. THE DAILY-NESS – As much as I love the concept, I realized that a page a day was WAY too much work for me. I wanted to be able to skip a day and not feel guilty or even close the album on the 26th and call it done. MIXED SIZED PAGES – While I loved the look of the pages showing behind each other, the mish-mash of sizes made it too complicated to put together each day. THE COST – Paper supplies are expensive. Plus it made me a little sad to see all the beautiful digi kits out there and not have a reason to use them. NOT AS TRAVEL FRIENDLY – Living so far from family we often traveled for Christmas which meant I needed an album I could easily take with me on the go. THE GUILT – I wanted an album that once Christmas rolled around I could call done without there being obvious gaps in the album to make me feel guilty about it. While all this holiday scrapbooking craziness was happening, I had also been steadily working on another project of mine: the Monthly Faves. 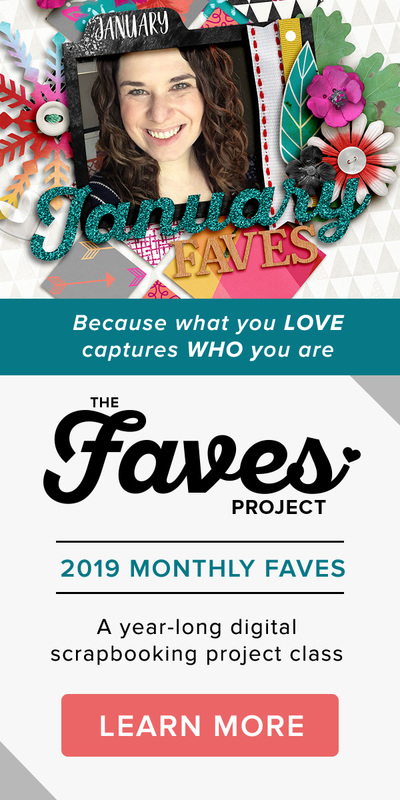 Started in 2009 and then repeated in 2011, the goal of the Monthly Faves was to capture a list of my top ten favorite things each month for a year. 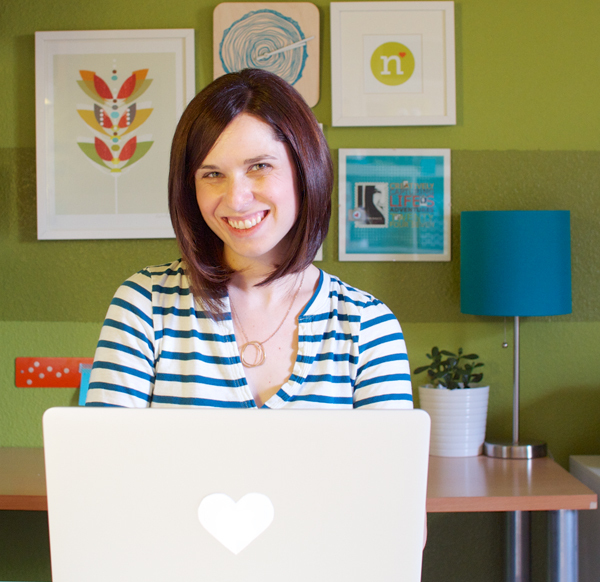 It was the only year-long project I’d ever completed successfully – and I’d done so twice. So I had an idea: what if I combined a holiday mini album with the faves? Instead of focusing on capturing a story a day until Christmas like I’d done before, my goal would be to capture my top ten favorite things from the holiday season. If I made it to ten, awesome! If I made it to eight or five or even three, I’d be ok with closing the album after December 25th and calling it done, guilt-free. 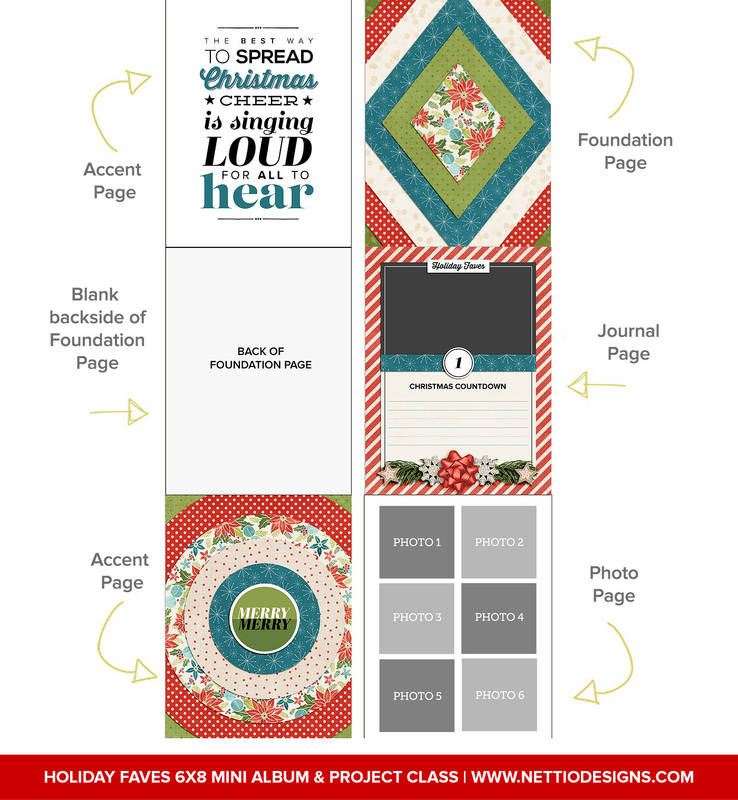 To keep things simple, I’d create my own set of mini album templates and use my favorite digital scrapbooking supplies to create the foundation of my album. 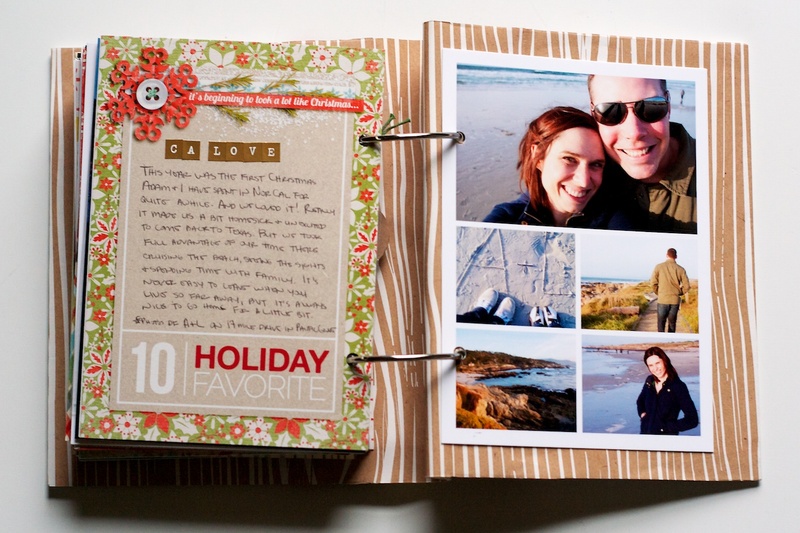 Then all I’d have to do during the busy holiday season is add photos and journaling and I’d be good to go. To my surprise, it worked. In 2011, I captured all ten holiday faves. In 2012, I captured all ten holiday faves. In 2013…I didn’t. BUT, in my defense, last year I was in the first trimester of my pregnancy, physically exhausted and creatively drained, and I made the executive decision after creating and printing my foundation pages to just let it go for the year. 2 out of 3 sure beats 0 for 4 in my book. Ultimately what I’ve learned from this whole crazy holiday scrapbooking adventure is this: just because you LOVE a project doesn’t mean it’s right for you, and that’s perfectly ok! That isn’t a sign to give up. It’s a sign to take what you love (and don’t love!) and tweak it to make it work for you. For me, that’s Holiday Faves. 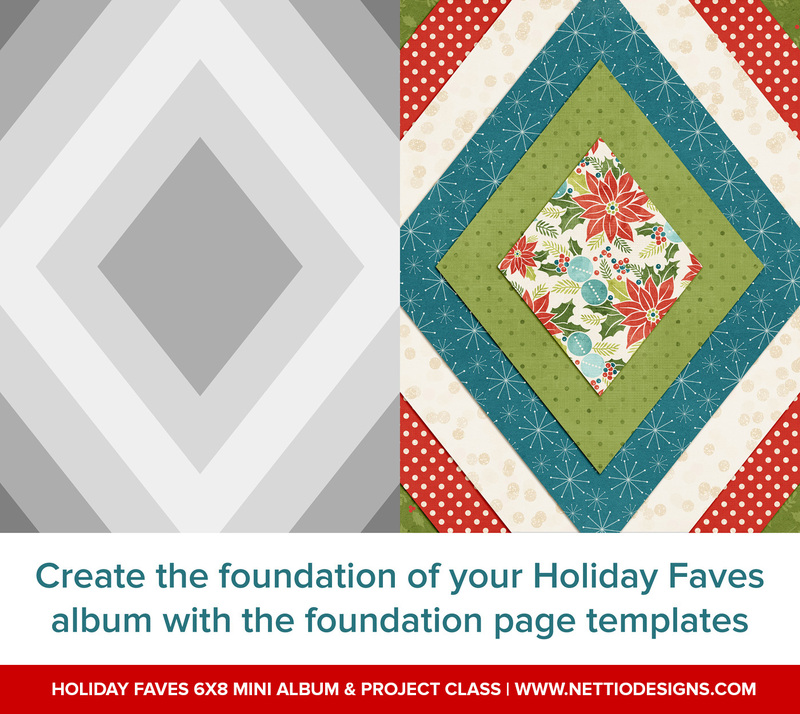 And if, like me, you love the idea of creating a holiday mini album but are need of something a bit more easy and doable than what you’ve tried in the past, I have the confidence Holiday Faves is the right solution for you too. 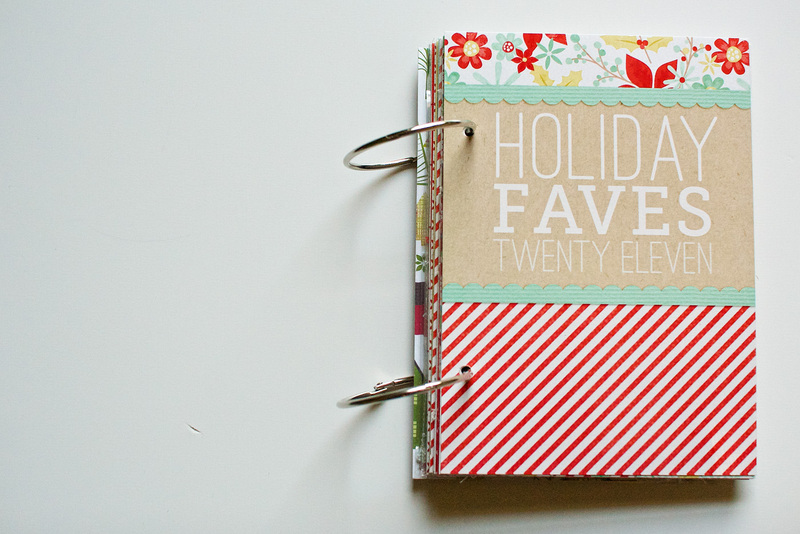 On Monday, November 24th, I’ll be opening registration for the 2014 edition of Holiday Faves. 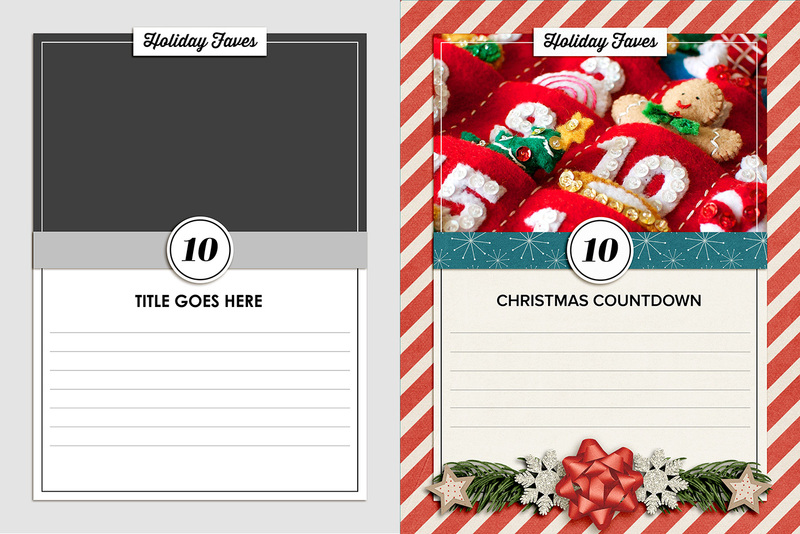 This year in addition to an exclusive set of mini album templates designed by me, you’ll also receive a Holiday Faves planning guide, weekly emails from me with words of encouragement and access to a private Facebook group where you can connect with other Holiday Favers and share your work. 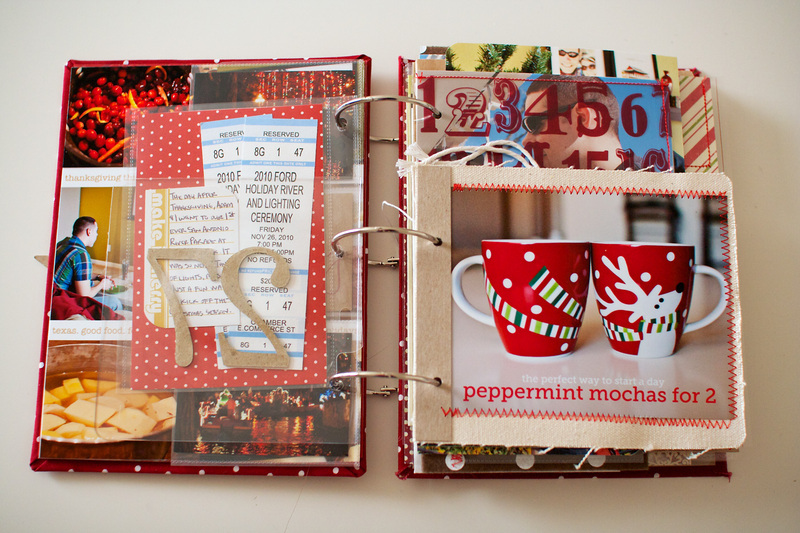 Interested in scrapbooking your Holiday Faves? 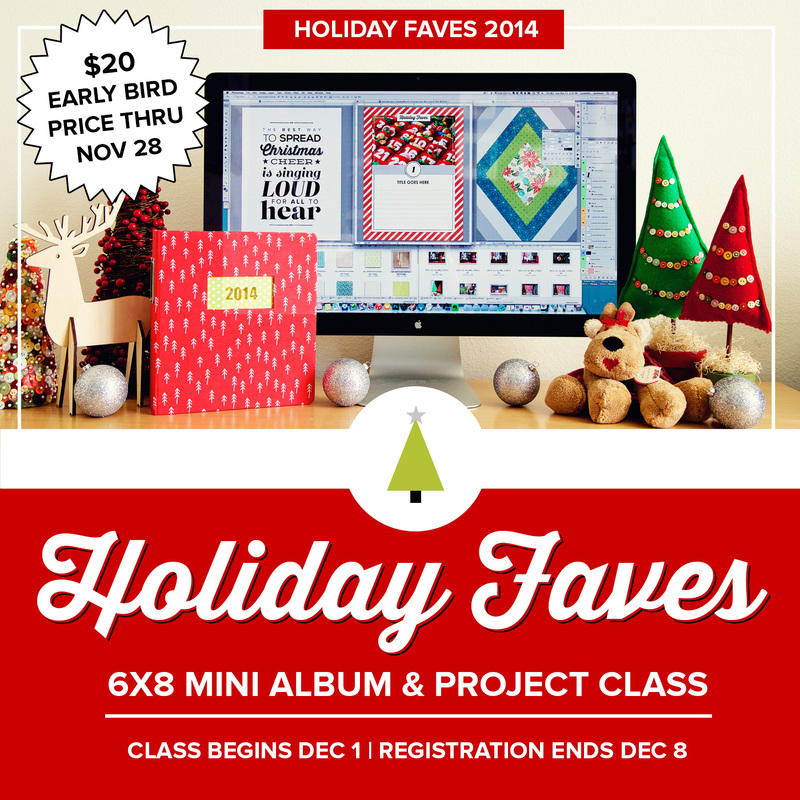 Join me and almost thirty other awesome scrapbookers as part of the Holiday Faves 2014 6×8 Mini Album & Project Class. Early bird pricing of only $20 is available through Black Friday, November 28th. Class begins Dec 1st and registration ends Dec 8th. Find out more here. 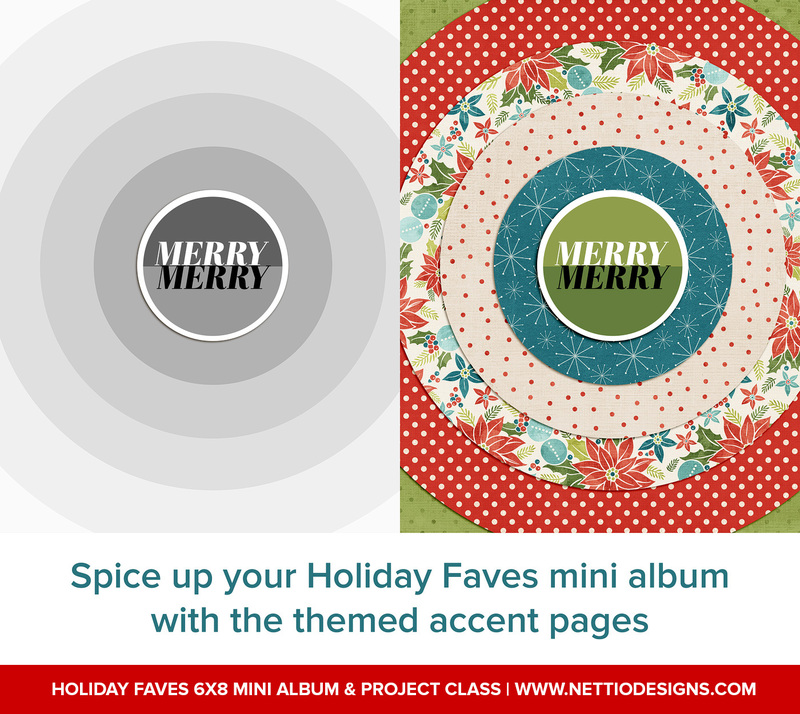 If you’re new around here, Holiday Faves is my take on a not-so-daily, stress-free, holiday mini album. 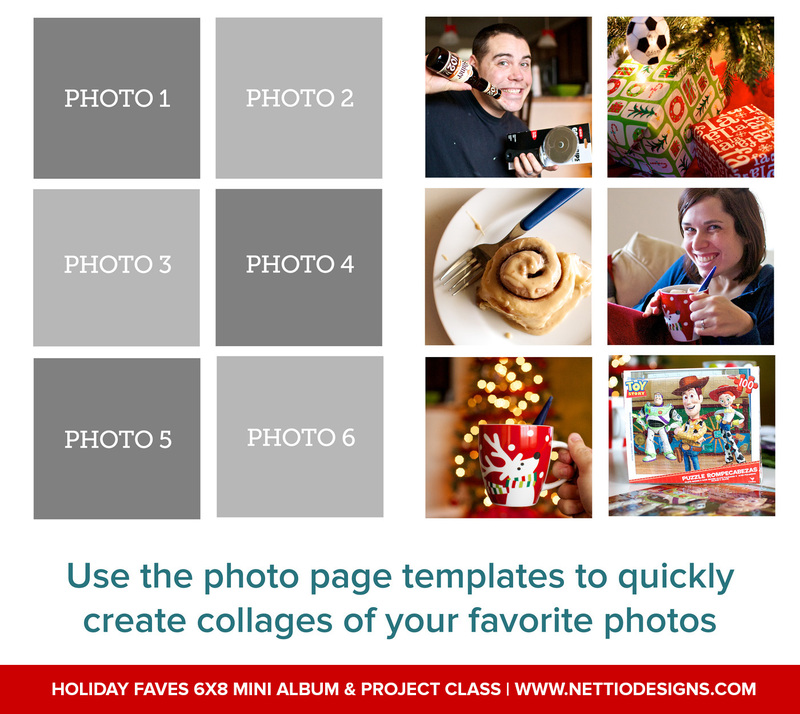 No worrying about daily details or getting behind, the focus here is on capturing your top ten favorite things from the 2014 holiday season, guilt-free, using all the digital scrapbooking goodies you already know and love. This year will be my fourth year doing the Holiday Faves and I’m ready to make it bigger and better than ever. All week long I’ll be sharing details about the Holiday Faves as well as sharing peeks and some other fun things over on Facebook and Instagram. Be sure to follow me so you don’t miss out on the fun! 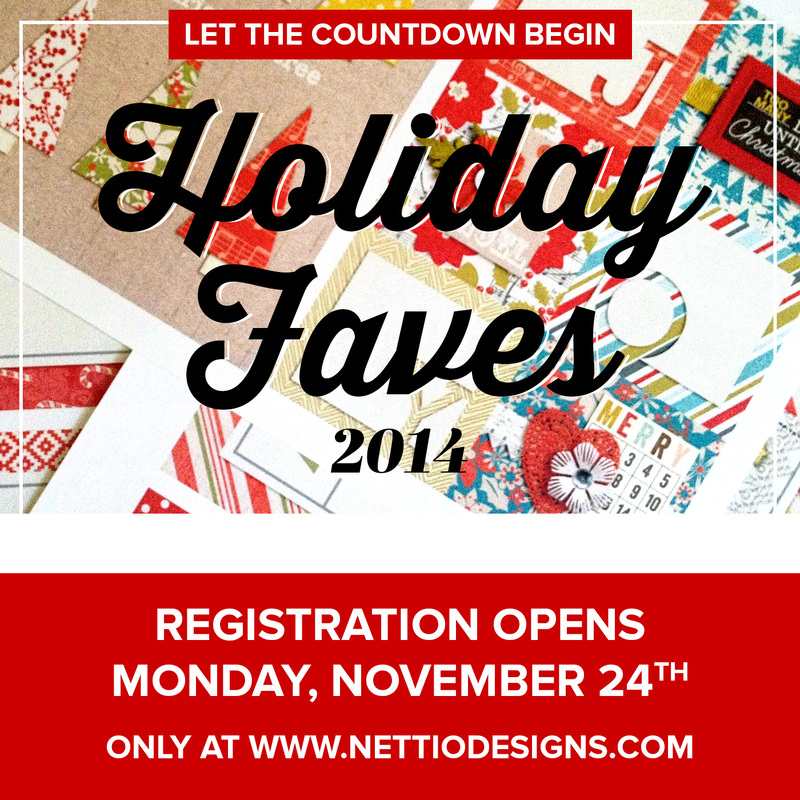 Registration for the 2014 round of Holiday Faves will officially open next Monday, November 24th here at Nettio Designs. 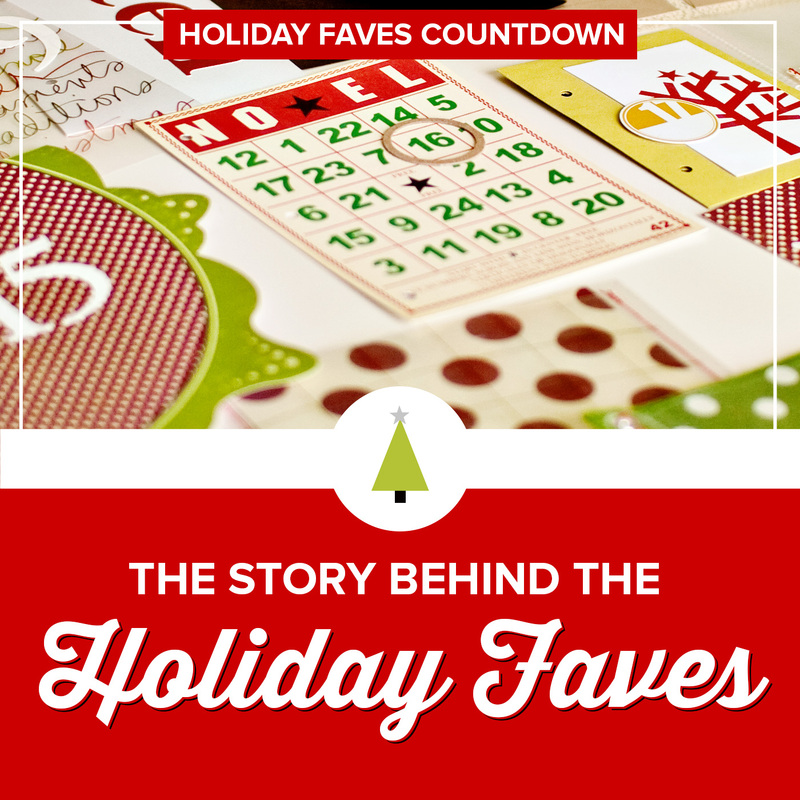 Tomorrow, I’ll be back to share the story of how Holiday Faves came to be. See you then! Quick Note: First up, a little news! 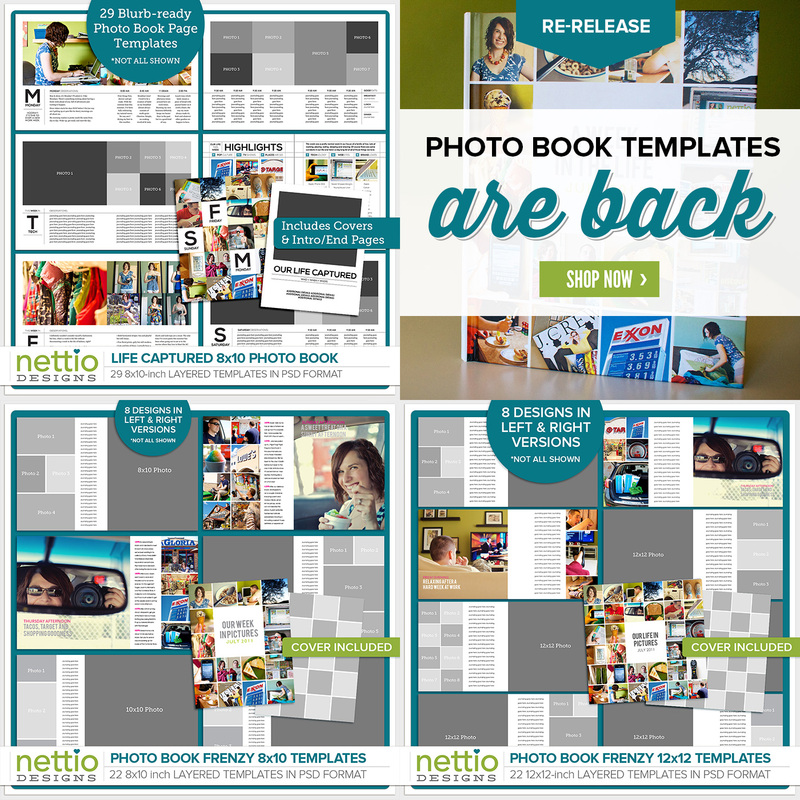 After receiving several requests, I’ve decided to bring back both sets of my previously released photo book templates, Photobook Frenzy & Life Captured. I’m working on getting them up for sale here at Nettio Designs now with the goal of having them ready to go no later than Wednesday. Stay tuned and in the mean time enjoy my top 5 tips for capturing a week in your life below! Picture yourself at the end of the week – What stories do you want to have captured? What photos or moments would you be disappointed if you didn’t capture? Make an extra effort to focus on those during the week. For example for me, people shots are a must so I always make an extra effort to use my camera remote or timer to get myself and others together in photos. So I hesitate to mention this because I know your first thought is going to be “Ack, it’s the start of the week and I don’t have a PLAN!” So before you go panicking on me, haha, don’t worry, there’s still time! You don’t need to have a photo play-by-play for your week before you get started. But having a general idea of what you’d like your completed album to look like can simplify the capture process by giving you a clear focus on what you need (and don’t need to capture) whether it’s long paragraphs of journaling or full-page photos with plenty of white space for text. 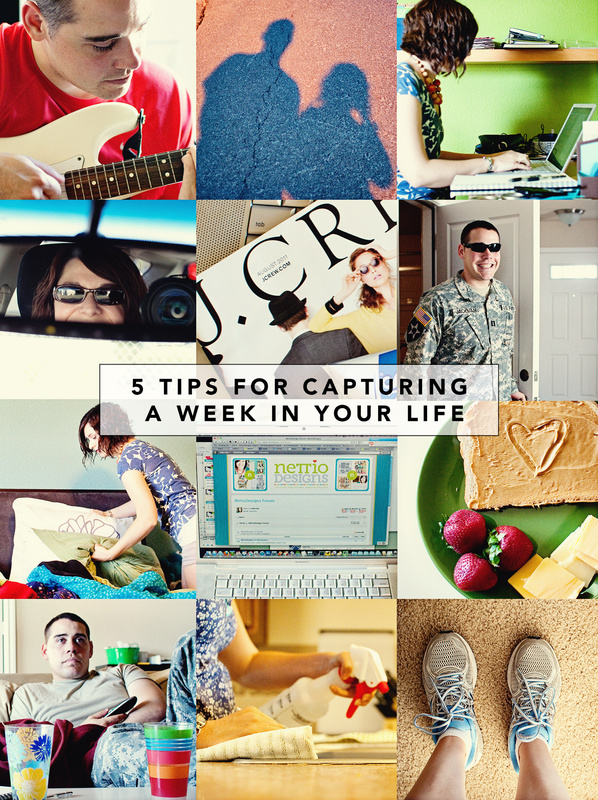 Most scrapbookers seem to think the tough part of Week In the Life is the capture week. But the truth is – that’s the easy part! The challenge comes in actually making time to finish your album. I don’t recommend trying to create your album as you go through the week (although I know some speedy scrappers do) but I do recommend scheduling time to work on your album and setting yourself a deadline for when you want to have it done. If you leave it up to “when I have time”, it’ll just end up on top of the unfinished projects pile. Part of the magic of Week In the Life is that it encourages you to take a close, detailed look at your everyday life. But you know what? Every day life isn’t always pretty and it certainly isn’t perfect. So this week I challenge you to embrace the imperfections. Rather than focusing on all the things that aren’t “right”, like your bland beige walls or clutter around your house, focus on all of the bits that are amazing. And don’t let yourself get bogged down into thinking everyone else’s life/photos/story/adventures are better than yours. Your life is unique to you so for this week let’s celebrate all the awesomeness you’ve already got going on. Finally, say it with me: no single photo, taken or untaken, is going to make or break your album. Much like December Daily or Project Life, the magic of Week In the Life is not any individual photo. It is the overarching stories all of the photos tell well combined together. So relax, have fun and figure no matter what you end up with at the end of the week, it will tell the story of a week in your life.